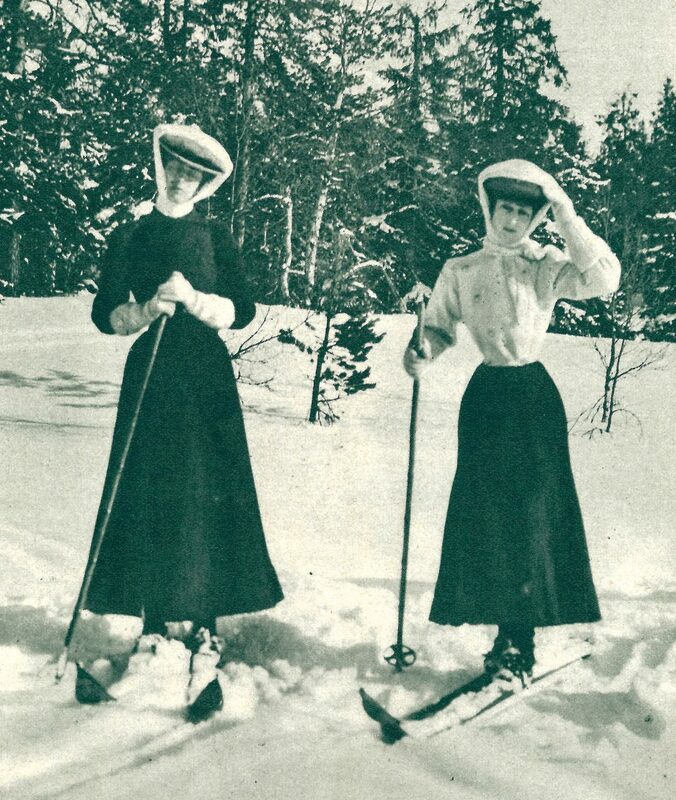 Mystery Glimpse: Who’s Skiing In Skirts? Here’s a picture from long ago. The woman on the right is the mystery lady. Who is she? You can probably guess the era from the skiing “costumes”. Probably foreign. Last hint: Think Scandinavia. This week’s picture was contributed by Vesterheim, the National Norwegian-American Museum & Heritage Center, in Decorah, IA. The center has over 33,000 artifacts, 12 historic buildings, a Folk Art School, and a library and archives. This treasure showcases the most extensive collection of Norwegian-American artifacts in the world. This is the famous Engen Bell, a fixture in Utah ski history and an official “treasure” of the state. The bell was used for many years on an old locomotive from the Denver & Rio Grande Railroad. It is estimated the bell was made in the mid-1800s, but no official records are available to verify its exact age. 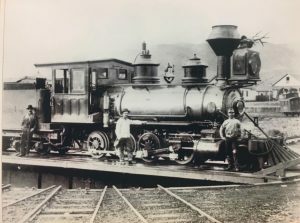 Rio Grande Railroad officials stated that the bell made hundreds of trips through Utah in the late 1800s and early 1900s. In 1955 the bell was acquired by Martha M. Engen as a gift from the railroad. She gave it her son Alf for use at his Alf Engen Ski School at Alta, Utah. For 24 years, the bell was used every day to toll the start of the morning and afternoon ski school sessions. It became a landmark at Alta; everyone listened for the bell to sound. When Alf Engen retired as the ski school director, it was deemed appropriate to also retire the bell in his honor. The bell rang for the last time in 1989, when Alta celebrated its 50th anniversary as a ski area. Alf gave the bell to his son, Alan, who commissioned a solid oak stand and brass plates identifying it as “The Engen Bell,” in honor of his dad and his grandmother, Martha. Look closely. There’s the bell on the old steam engine. In 1995, the old bell was selected as one of the “100 Treasures of Utah” and was put on display at the Utah Winter Sports Park as a featured attraction of the 1996 Utah Centennial celebration. The reasons for being named a Utah treasure are twofold: First, the bell holds historical value due to the time period in which it was used by the Rio Grande Railroad. 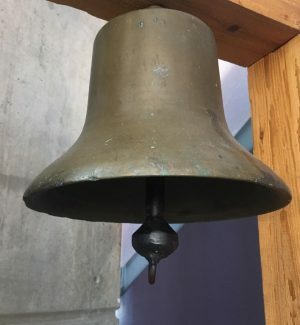 Secondly, it is the only ski school bell ever used at Alta, and as far as can be determined, is the only bell used by any ski school in Utah’s history. The only other Intermountain Region ski school to use a bell for announcing the start of classes was at Sun Valley, in the late 1930s and early 1940s. The bell is on display at the Alf Engen Ski Museum located in Park City, Utah. I’m guessing Queen Maud, wife of Haakon VII, king of Norway 1905-1957. I’ve been to the Vesterheim Museum in Decorah, Iowa, a couple of times. A great collection, especially for those of us with Norwegian backgrounds. Lots of ski school bells. I worked at Mammoth Mtn ski school 1962-68 and we had one. At Mt Ashlan, Or. There was one there. Was director of Ski School China Peak, Ca. 1968-85 and we had one, but finally gave up ringing it. Several others around Lake Tahoe. Looks like Queen Maud circa 1906.